What will the total cost of the display be? How can I compare between firework companies? Can I book any time of the year? What time can we have our display fired? Can I even have a display at my venue? What will be in my display? What's our smallest display price? Will the display physically damage the firing area? Will the display leave a mess? Q: What will the total cost of the display be? A: Exactly what you expect it to be. When you book your display you decide your budget, that's the fee you will pay. We never add things like fuel, wages or any charges on afterwards as some companies do. We offer a number of price suggestions on the Wedding, Corporate and Event display pages. Q: How long will the display last? Once you have agreed a budget we can suggest an estimated running time. However we really advise you to think more in terms of how intense you want the display to be rather than its running time. It is the £ per minute that we are able to spend on your display that determines its intensity. For example a lower end budget that was desired to run a long time would be described as low intensity. A larger budgeted display running for a longer time would follow a similar scheme. Whereas a medium budget spent on a shorter display would be more intense. We advise each display based on its own merits but tend to suggest budgets are not stretched out too far as a display is by design supposed to be impressive and memorable. 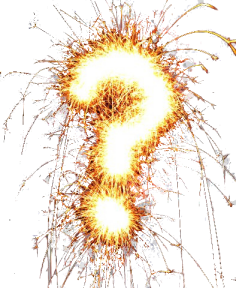 Q: How can I compare between firework companies? When it comes to firework displays that impress, budget alone is not enough to compare one company against alternative providers. When faced with the choice, it's far more relevant to compare the quantity and quality of fireworks that will be used for a given price. We are always happy to offer similarly priced firing lists for you to compare against other companies, as we are so confident we excel in our field. Simply ask any other companies you're considering to supply a firing list for a display priced within your budget (best not say why or it could be "bulked up" to make it look better) and us to do the same, remember that not all "cakes" are necessarily the same size along with everything else but it can give a much better indication of what you actually get for your budget. Q: Can I book any time of the year? We can fire a display 365 days a year. But please be aware that our naturally busy times are around November 5th and New Years Eve. At those times you will need to book early. Q: What time can we have our display fired? Displays are restricted by the noise regulations act. Every day of the year we can fire UP TO 11pm and no later. November the 5th has an extended hours clause allowing displays UNTIL 12 midnight. New Years Eve has an extended hours clause allowing displays UNTIL 1am (Jan 1st). Divali has an extended hours clause allowing displays UNTIL 1am. Chinese New Year has an extended hours clause allowing displays UNTIL 1am. Please take into account that sunset times vary during the year, although its not required to be dark for a display it helps! Total darkness is not needed but the longer after sunset we wait the better the visibility of the display will be. During the summer months twilight also lasts longer, requiring more time after sunset to be fully dark. Although we don't require the full balancing payment to have cleared until the night of your display we suggest having the full balance paid 2 weeks prior to your event. If you do wish to pay in full when booking we offer an additional 5% added to the fireworks budget of your display. Full payment must be received at the time of booking and a minimum of 4 weeks before your event is required to take advantage of this offer. An invoices / receipt showing deposit paid and outstanding balance is available on request. Q: Can I even have a display at my venue? As every venue is different and has its own challenges its impossible to say for definite. If you contact us it's usually possible to see from Google Maps the site layout and some of the issues we may have. As long as the venue is happy to host a display we can almost always fire some form of display for you, we just have to work around what is possible. Q: What will be in my display? This is an often asked but unfortunately hard question to answer in full. Because we design every show individually we can't know for sure before a site visit, knowing the budget and understanding what you want. We can give you a rough guide, through talking on the phone but a firing list does not actually exist until after the planning stage. Q: What's our smallest display price? We offer a MUCH lower budgeted start price than any other company we know of. Simply put it's because we would rather fire many affordable displays each year, than only accept large budgeted displays and perform less displays. A local venue would be classed as within a 25 minute drive of our location. This is intended only as a starting price as it will also depend on the type of display. Please be aware that our naturally busy times are around November 5th and New Years Eve. At those times we may need to impose an increased minimum price of a display, due to high demand. Q: Will the display physically damage the firing area? On grass we use 20mm x 20mm stakes to secure every firework, racks of shells utilise 16mm metal pins but all these holes are very small and we take much care to ensure we damage the ground as little as possible. Treading down grass after removal makes any holes unnoticeable and within a week the ground returns to the state it was prior to our visit. We have fired on golf club fairways before without issues. There are NEVER any craters. There are never any holes dug unless by prior agreement and it's extremely rare we would ever want to. There is no risk to a hard standing area. OCCASIONALLY, firework cakes catch fire after they have been used during the process of a show, this can scorch the ground they are stood on, however we carry a number of fire extinguishers and use them to put out any instances like this immediately. If this happens it's still rare for there to be damage the day after. Q: Will the display leave a mess? We do take every care to tidy up any debris we can after a display, however as it is dark and the debris can be spread over a large area it's impossible to totally remove it all. Any small paper disks and tubes left behind are biodegradable and will decompose in a matter of weeks especially with the help of rain. NOTHING that we would leave behind could damage people, animals or grass cutting machinery!